But seriously, after leaving the cast of Les Miz on Broadway, I went back to school at the New York Botanical Garden and earned certificates in both ornamental horticulture and ethnobotany. 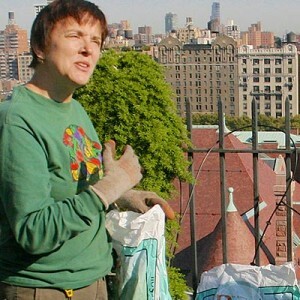 For many years I taught at the NYBG on a wide range of subjects (basic gardening techniques, perennials, annuals, orchids, container gardening, house plants) and ran my roof top gardening business: Acme Plant Stuff. As I learned more about plants I noticed that many traditional ornamental plants had edible and medicinal histories. I wondered why we didn’t eat hostas any more, and why people planted hopniss for its flowers rather than its delicious, potato-like tubers. Gradually, my emphasis shifted from plants that were merely ornamental to plants that fed both body and soul, the eyes and the stomach. 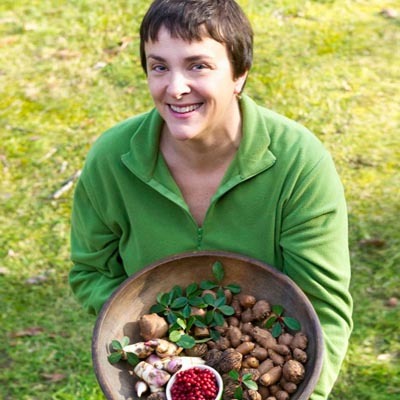 I started out foraging in the garden, because I knew the plants there were safe from potentially dangerous insecticides and herbicides. Soon I ventured out into the wilds of Central Park, the woods of Pennsylvania, the deserts of New Mexico, the islands of Scotland, and the gorges of Greece. In other words, I’m always looking for delicious, free food!